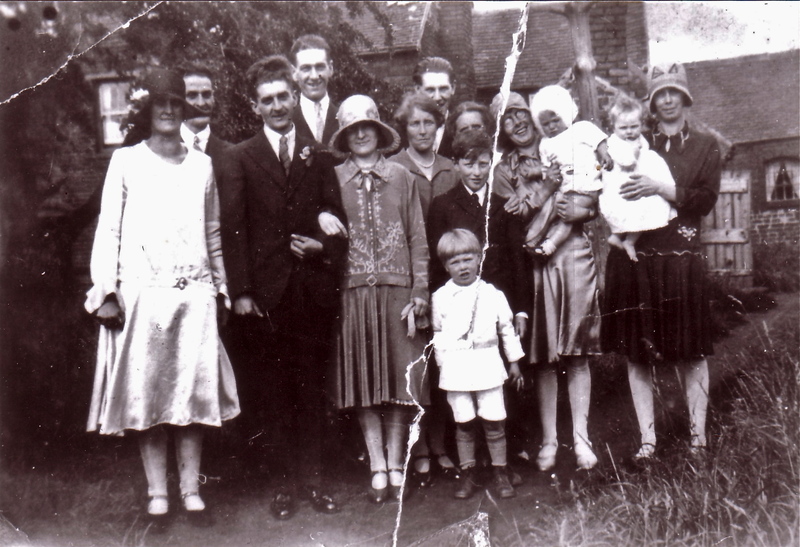 A Houghton family gathering at The Fold from the late 1920’s - love the little fella centre. Picture kindly supplied by Bill Bacon. While I’ve been otherwise engaged, David Evans has been busy with matters concerning The Fold in Friezland Lane, unearthing some great photos from the Houghton family. David has also interviewed local lady Jenny Langford to ask of her memories of growing up in the area. What I thought I’d do is intersperse Jenny’s memories with the images. Although they’re not directly linked, they give a lovely feel for the times. I’d like to thank all concerned – Bill Bacon, Jenny Langford and of course, David Evans, for their wonderful contribution to the expanding history of the area. I can’t tell you how excited I am about this material. Thank you all, I’m indebted. I am extremely grateful to Bill Bacon for his kindness in freely offering these fascinating Houghton family photos which were taken in the Fold in the late 1920s. They show some of the Fold cottages in the background and the photo of the lady on her own is Bills’ mom, Ethel Houghton, before she got married in 1930! Bill was born in one of the cottages of the fold and remembers the communal well, and the smallholding farm at the top. He says the goats were difficult catch and then to milk! The two photos featuring the bicycle in the background are contact prints from a Brownie type box camera. Not sure when they were taken, but that they were taken at the Fold. What make of bike is it? Well, I’m not sure what the bike is, but it’s quite a posh one. Very lightly tubed, high-end chrome brake levers and roller brakes. That was some machine, I bet. Suggestions welcome. A lovely family shot from The Fold, courtesy of Bill Bacon. 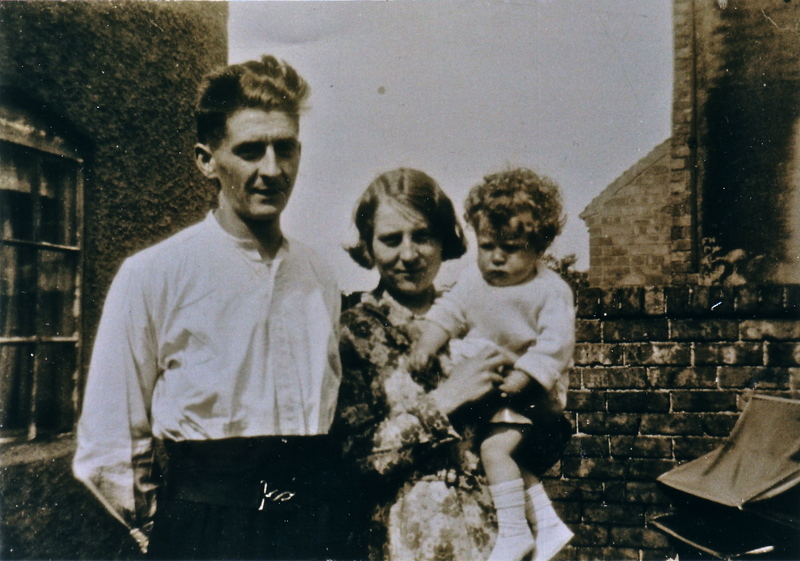 My mother Chrissy Langford (nee Anker), was born in a red brick house next to Spring Hill Chapel in January 1912. 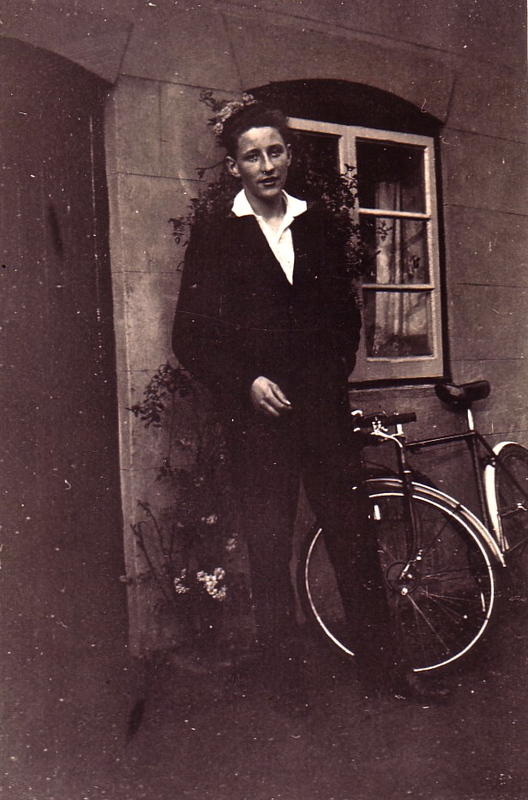 For some years before her marriage in October 1937, she lived in Friezland Lane. I was born in 1944 and was about 5yrs old when her mother (my grandmother) died, still living in Friezland Lane. During my early years, we would regularly walk to my grandmother’s house. Sometimes we went across the open fields which is where Shire Oak Academy now stands, or along the road to Shire Oak pub, down Chester Road and left in Friezland Lane. Mr Coombs grocery shop was on the left hand corner of the lane, the house is still there in 2012) but is no longer a shop. Walking up the lane a short way, you came to a row of cottages on the left hand side. I think there was a slope up to the doors , maybe with steps, because they were built on the downward slope of Shire Oak Hill. There was a small brick ‘out-house’ on the far end of this row. My mother told me this used to be a Blacksmiths shop. Maybe they made nails to be sold at Bilston Market, or perhaps they looked after the pit ponies at The Coppy Pit in Walsall Wood which wasn’t far away. 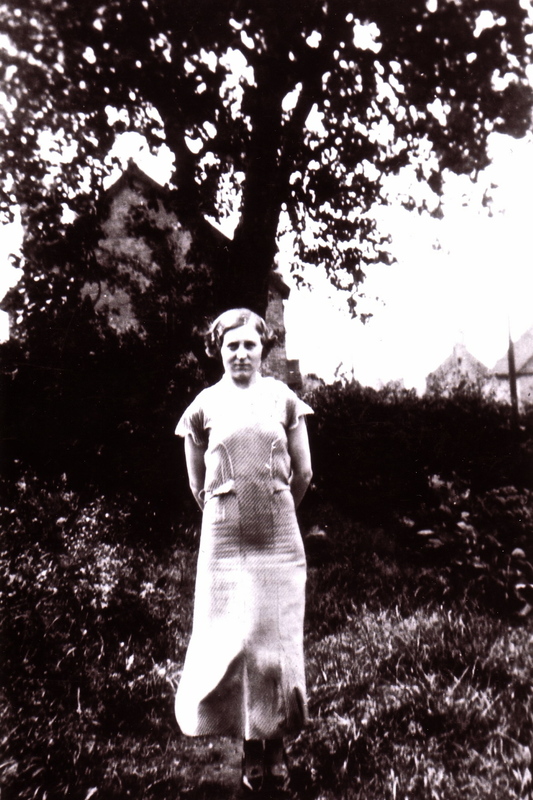 Bill’s mother, Ethel Houghton pictured in the late 1920’s, before her marriage in 1930. Photo supplied by Bill Bacon. At the time I learned this though it wasn’t so. I was told that my grandfather, Francis Anker, had been involved in digging a well at these cottages. He was a man I never knew, he died as a result of being ‘gassed’ during World War I before my parents were married. During the work on this well, the water started to rise suddenly and he had to get out quickly to avoid being drowned. As the water level rose, his tools were submerged and he lost them, they were never seen again. My grandfather fought in WWI, joining up at the beginning of the war. He was sent to Ireland, before he came home in 1921. Knowing that he began his married life with my grandmother at Spring Hill (his first wife died from TB), the ‘well-incident’ must have occurred either between 1913/1914, or after 1921.I suspect the former not the latter. My mother was the eldest of three children, there being 18 months between each child. I imagine they moved to the house in Friezland Lane for an extra bedroom after one of her brothers was born in 1913 or 1914. Her second brother Harold was only 6 weeks old when their father signed up to fight in WWI in 1914. A short way past these cottages, also on the left, was a place called ‘The Fold’. I remember it walking down the lane away from my grandmother’s house, rather than going to it. At right angles to the foot path, was a narrow pathway with cottages along it. My mother’s brother Harold and his wife Olive, lived for a time in one of these cottages. After my grandmother died, they moved to live in the house with brother Frank and also their daughter Ann. When their second daughter was born, they moved to live in Stonnall. This was when I was 10yrs old in 1954. At this time, both Shire Oak and Stonnall were still in Staffordshire, the county boundaries hadn’t yet been changed. I’d like some help dating this one. The bike seems like it may be as late as 1940’s or 50’s, but I don’t know enough about clothing styles to say with any certainty. Certainly, Bowden cables were a rarity on bikes before then, which generally had rod brakes. Photo generously supplied by Bill Bacon. Near ‘The Fold’, on the opposite side of the lane, there were one or two houses built at right angles to the road and facing towards Walsall Wood and therefore the pit which wasn’t very far away. My mother said this was because years ago, there was going to be a new road made down the hill. The houses were built in advance, presumably by private individuals who thought they knew where it was going to be, but they were wrong, it was never built. Hence the houses were facing the wrong way. Nothing happened until the new housing estates of later years, Tebbett’s Estate off Chester Road and Hillside off Friezland Lane were built. My mother died in 1980, but as an adult one day while she was reminiscing, I learned something else about Shire Oak Hill and also myself. She was talking about how during WWII, tanks used to be stored along one side of the Chester Road at Shire Oak. Strangely I remembered this too and was describing the scene I remembered, which was the same as hers! She was astounded, because from my description she could relate it to an incident which happened when I was 18 months old and still in a push chair. I was being taken home from seeing my grandmother, when at Shire Oak crossroads I was sick, the result of cucumber sandwiches my grandmother had fed me. During the ‘clean-up’ process, I imagine I was facing the road, sitting looking at these huge tanks and they obviously made an impression on me! I was rarely offered cucumber again, I must be allergic to it and have always avoided it. During WWII, tanks were stored along the road leading to ‘the tank tracks’, which were in the gravel pits on Chester Road near Stonnall/ Walsall Wood. This was where before they were issued for use, they were put through their paces. Until this, I hadn’t realised why the locals refered to areas of the gravel pit where I used to play as a child, as ‘the tank tracks’, or why I hated cucumber. In the peace that followed WWII, the last thing I could imagine in the local gravel pit was lots of tanks. Another piece of information I gathered while still quite young, was regarding surgical operations on kitchen tables. At the age of 5yrs, I was admitted to Walsall Manor Hospital, like many children at that time, to have my tonsils and adenoids removed. Even now I remember it very well. I was scared, not able to speak, had a very sore throat and not at home with my family. Before they would let me come home, I had to eat a breakfast of bacon and egg. I could barely open my mouth let alone eat anything but they said if I didn’t, I couldn’t go home, so I did. I learned as an adult working in The NHS, that this was encouraged, to remove scar debris from the throat and assist healing. My mother said at the time, something like ‘You should think yourself lucky’, I couldn’t imagine why. At some suitable time in my recovery I imagine, she told me her tonsils had been removed on the kitchen table at home, in Friezland Lane. 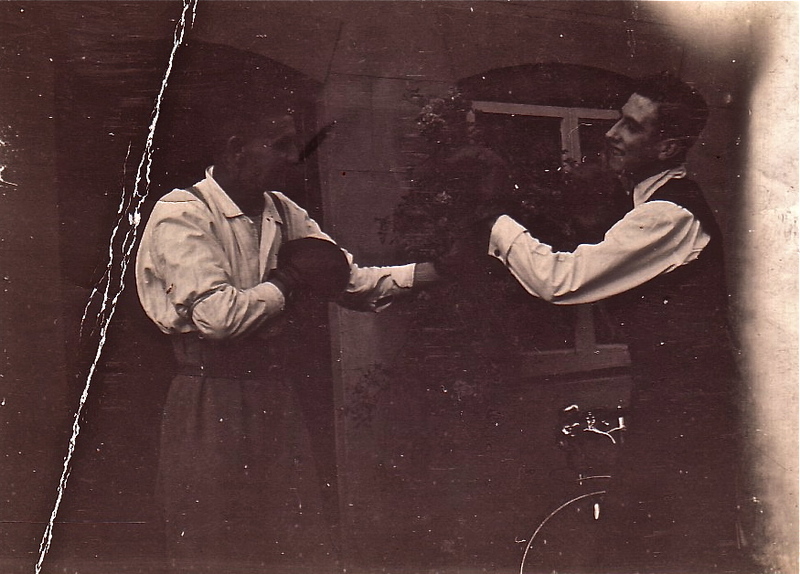 Playfighting pugilists - it’s be really nice to put some names to these chaps. Great photo kindly shared by Bill Bacon. This entry was posted in Features and tagged houghton family. Bookmark the permalink. Great stuff! Fantastic photosI wonder whether any of my *Horton* relatives – as opposed to Houghton- were still thereabouts within living memory? Friezland Lane in the 1911census is home to my g.Grandmother’s cousins Emma Heath 1856 (nee Horton) ; and Clara Maddox 1855 (nee Horton). Hello Dave, thank all involved in this great article for us all. What a great article. Thanks. ..and an immense thanks to Jenny Langford, and to you for “stitching together” everything to make this super presentation! I’d love to get in touch with Jenny, if anyone can help?